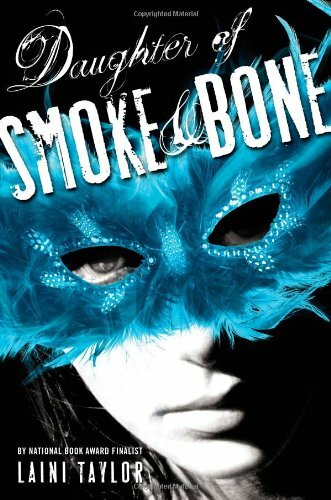 I cannot put into words how much I loved, loved, loved Daughter of Smoke and Bone by Laini Taylor. From the fantasy, to the romance and the overall story telling, I engulfed every single page of this brilliant novel. If you only read one book for the rest of your life, make it this one! I've got two words for you: Cricket Bell. LOVE HIM! 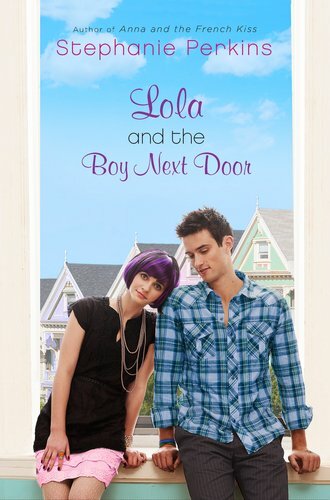 Lola and the Boy Next Door by Stephanie Perkins was one of the most anticipated books last year, and it's no wonder. No one writes contemporary novels like Stephanie Perkins, and no one can create such swoon-worthy guys. Divergent by Veronica Roth is by far one of the best dystopian novels I've read since The Hunger Games. I absolutely love strong heroines, and they don't get stronger than Tris. Plus, if you've noticed the banner on the top of my blog, I kind of have a thing for Four. 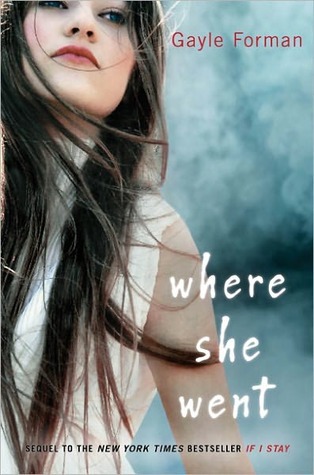 Where She Went by Gayle Forman is the follow up to her bestseller If I Stay. If you want a truly touching, heartbreaking story, I suggest you start with If I Stay and follow it with Where She Went. And for those who have read both, I'm sure you agree that Adam's story in Where She Went is not only touching but, well, beautiful. 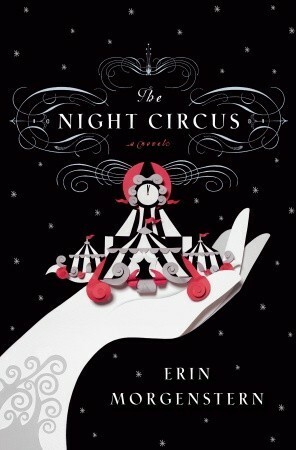 I cannot recommend The Night Circus by Erin Morgenstern enough. Do you know how many copies I purchased over the holidays/in general as gifts? 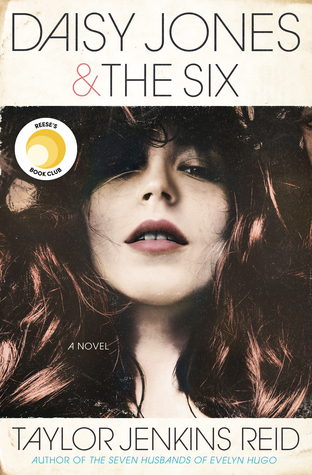 Five, and every single one of them LOVED it (Read it already, Karen!). Oh my goodness, I love the details the author puts into every scene, every stage and every character. Le sigh, how I love thee. 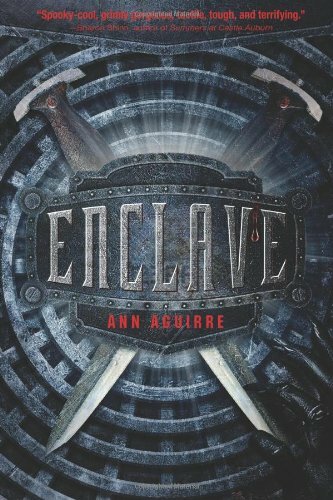 Holy moly, is Enclave by Ann Aguirre's world scary! This book is jam packed with action, adventure, twists and turns. If the world ever ends, please don't let it be like Enclave! 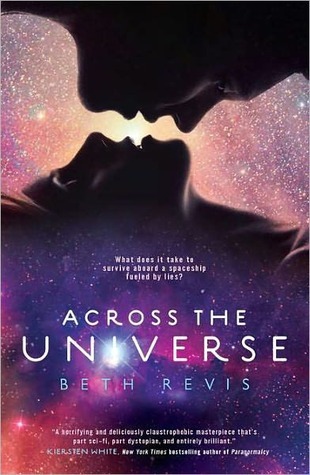 When I first picked up Across The Universe by Beth Revis, I didn't know what to think. Spaceships just really aren't my thing. At least, not until Across The Universe. I loved the alternating points of views and all the shocking secrets that were slowly unveiled. Fair warning, if you have yet to read Across The Universe, you might also want to get your hands on A Million Suns once it releases. Trust me, it is (if this is even possible) 100 times better than Across The Universe, and Across The Universe is out of this world! Ten Things We Did (And Probably Shouldn't Have ) by Sarah Mlynowski is, to say the least, LMAO hilarious! I haven't laughed so hard while a reading a book in, well...ever? Seriously, if you need a good laugh, then you need this book. 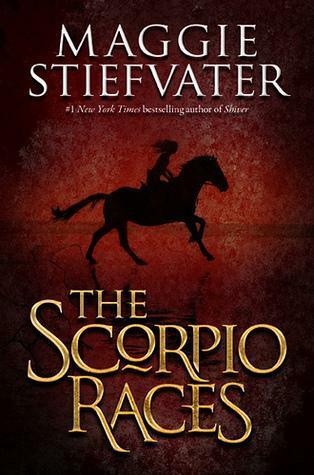 If Shiver had a baby with Lament, The Scorpio Races by Maggie Stiefvater would be the outcome. It's absolutely breathtaking. I love Maggie's writing and The Scorpio Races is just further proof of what a genius she is. I will never look at horses the same way! 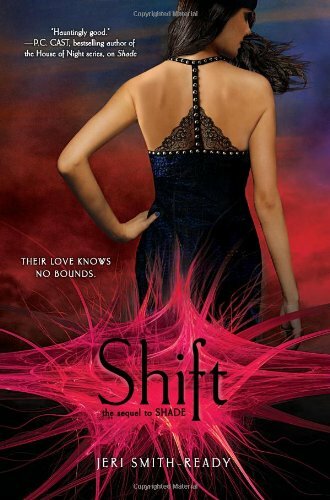 Shift by Jeri Smith-Ready is the sequel to her amazing novel, Shade. I had to wait a year for this book, and believe me, it was worth it. And wow, Zachary? Without spilling any spoilers, I'll just say he steams up this novel a bit. Few, I'm fanning myself just thinking about it! Lots of my favorites on this one! I loved Hourglass, AtU, Divergent, and Lola. The Daughter of Smoke and Bone and the Night Circus are both books I plan on buying in the next few weeks! màu lam trong đôi mắt của tượng băng lao lên, lôi cầu bị u quang vụt qua, lập tức phát ra thanh âm răng rắc liên tiếp. Theo đó, từ bên ngoài nhanh chóng xuất hiện vô số mảnh băng, lấy tốc độ cực nhanh lan tràn ra. Chỉ trong chớp mắt, giữa không trung, khối lôi cầu đã bị băng che kín hoàn toàn, bên ngoài có màu u lam, bên trong có lôi điện màu tím than vờn quanh rất đẹp mắt. Lam quang không hề dừng lại, mà lan tiếp ra phía sau. Lôi Oa hừ thảm một tiếng, thóp bụng lại, muốn phun ra thêm một lôi cầu nữa. Nhưng khi thân thể nó bị lam quang chiếu lên, lập tức bị đông cứng, bụng vẫn duy trì tư thế thóp lại nhưng lôi cầu cũng tiêu tán trong bụng nó! Thậm chí ngay cả ác long hoá thành từ cấm khí lúc này cũng bị lam quang cản lại, có dấu hiệu bị đóng băng. I still have to read some of those. I purchased them, but didn't get to them. 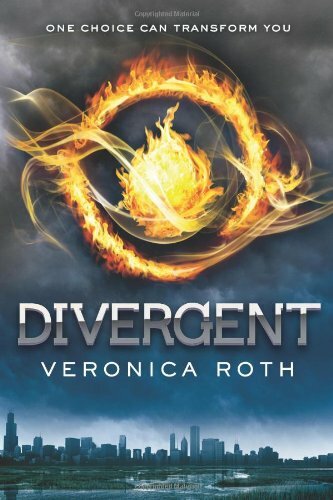 I loved Divergent, and I am currently reading Ten Things We Did. I am really enjoying it so far. I love this list. Some of these books are on shelf and some on my wishlist, I'm glad to see them here on this list. Have a great year end! I have lots of love for books on your list - in particular, Divergent, The Scorpio Races and Lola & The Boy Next Door. These were all on my list of my top reads of the year! Cricket Bell!!! He's on mine too....of course. Awesome list. I still need to read Daughter of Smoke and Bone and the Night Circus. I will! I will! Dare I say I've only read half of these? 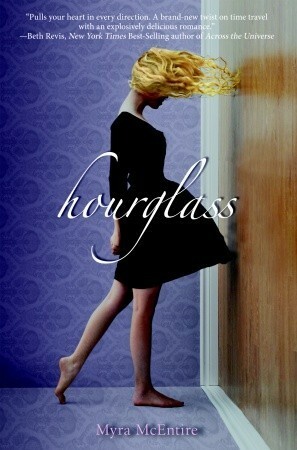 I may need to pick up Hourglass at our next bookstore adventure. I still need to read so many of these -I'll have to get on that in 2012.